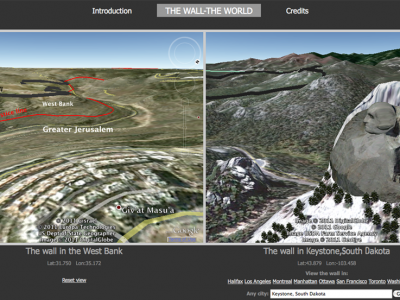 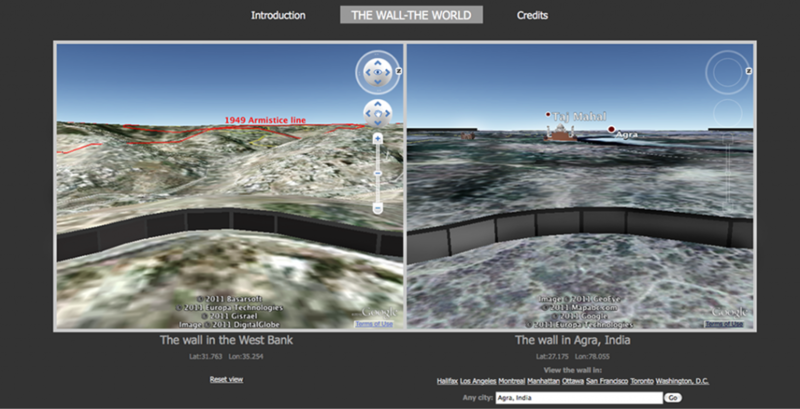 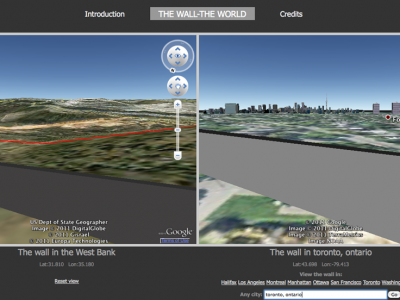 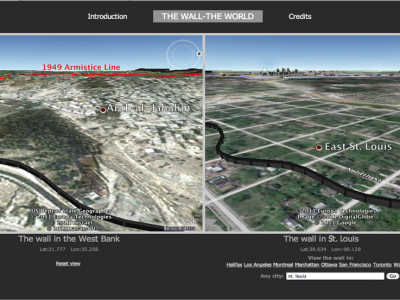 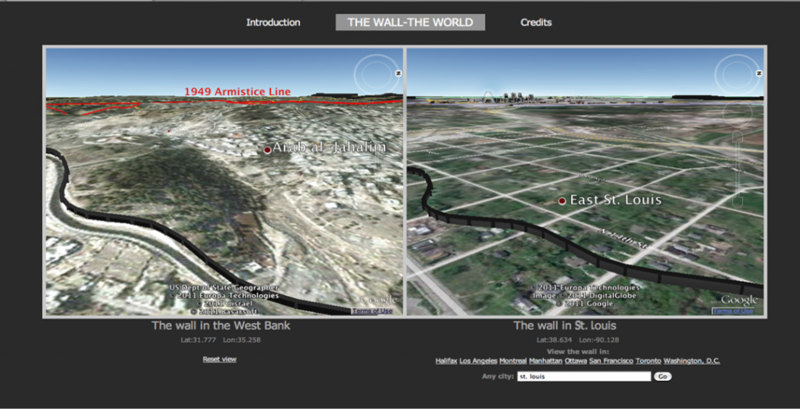 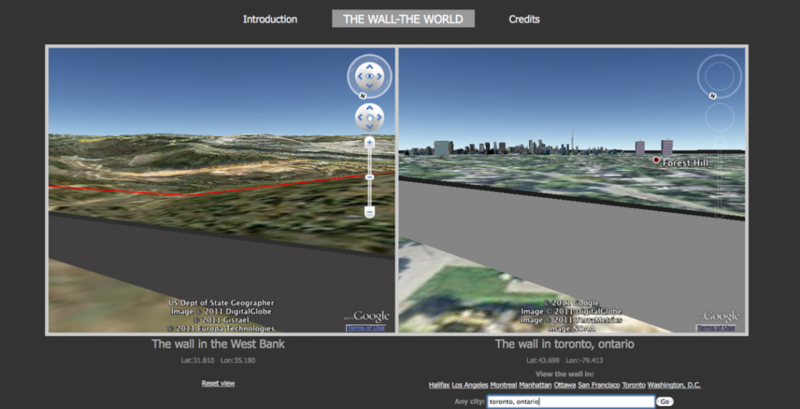 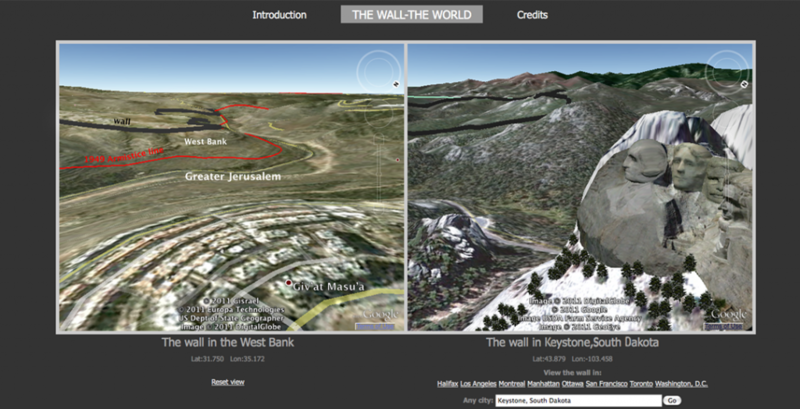 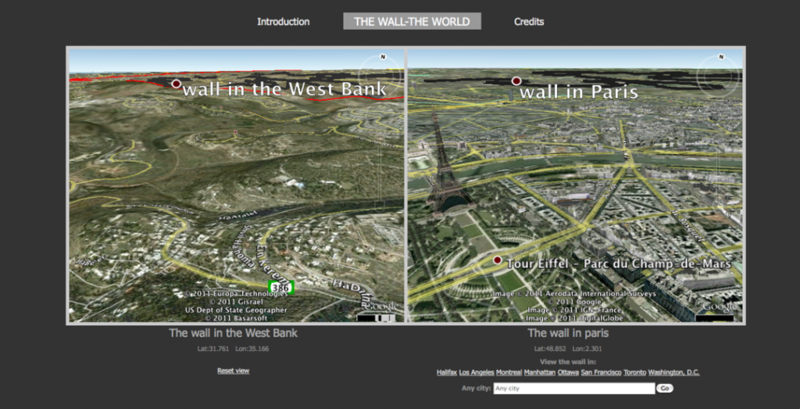 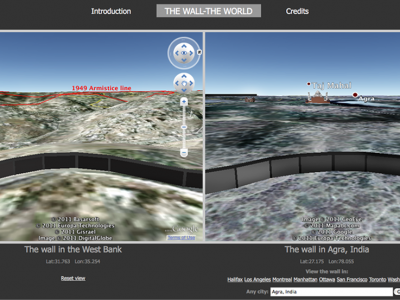 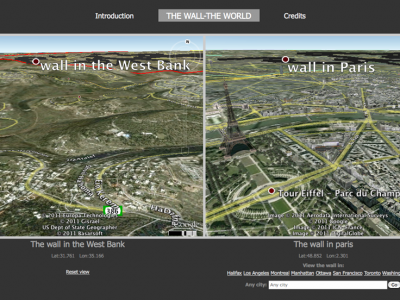 TheWall-TheWorld transposes a 15-mile segment of the planned over 400 mile long wall in the West Bank upon any city a viewer choses. 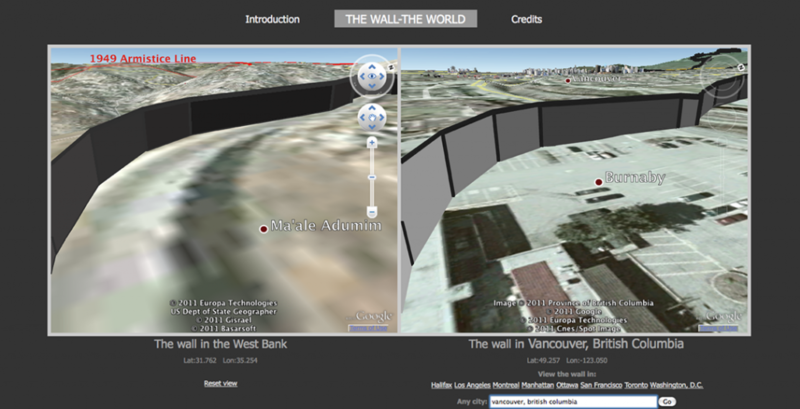 In the left window, the segment of the wall appears in its original location between two Palestinian towns–Abu Dis, in the south, and Qalandiya, in the north. 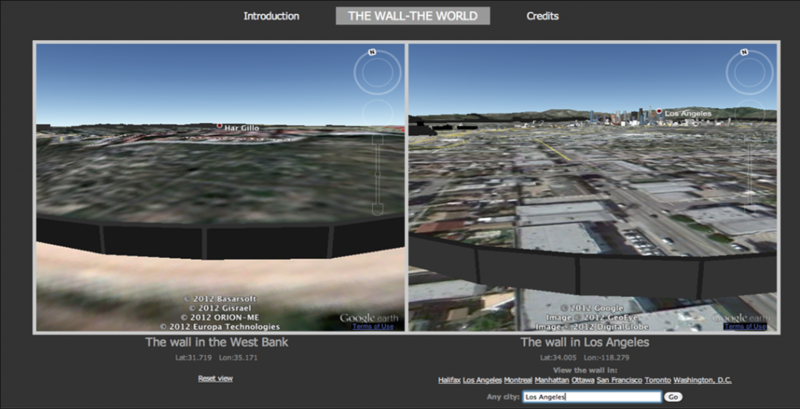 In the right window, the wall appears within any city a viewer choses. 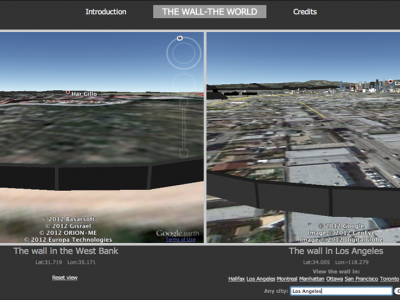 Viewers can use navigation tools in Google Earth to explore the spaces in parallel.